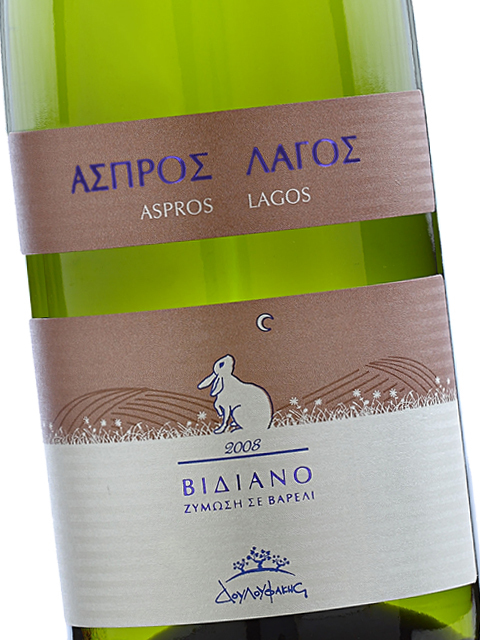 Douloufakis Winery vinifies the charismatic Vidiano in two versions: one made in barrels and one without (Dafnios white). 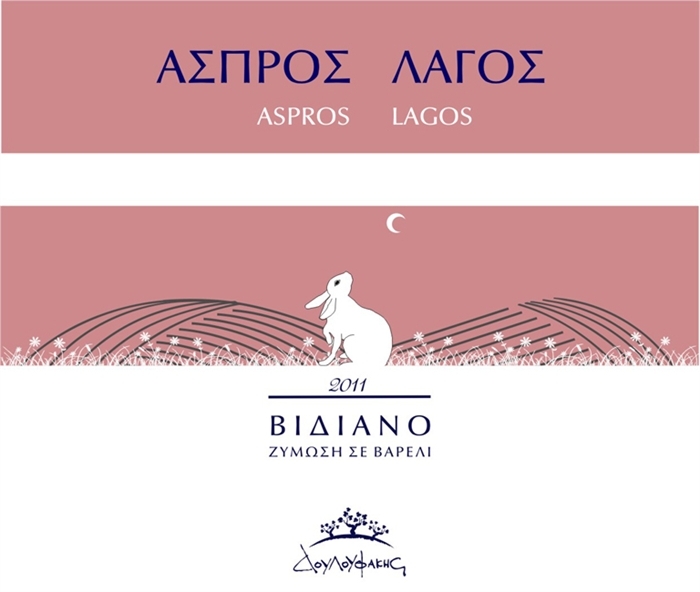 Vidiano Aspros Lagos is the first version, a wine fermented in barrels. In fact, different barrels are used. Specifically, the fermentation process takes place in American acacia barrels (60%) and French oak barrels (40%). Of course, Vidiano has sufficient volume to withstand barrel fermentation, resulting in aromas of peach, apricot, honey, a touch of petrol, as well as jasmine, while using different types of wood adds fragrances of vanilla, smoke, liquorice, oak and dried fruit. 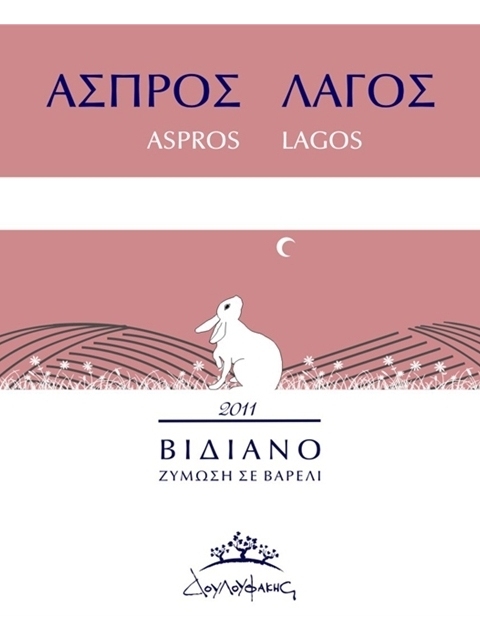 A truly remarkable and complex wine from a rare Cretan variety with immeasurable potential. 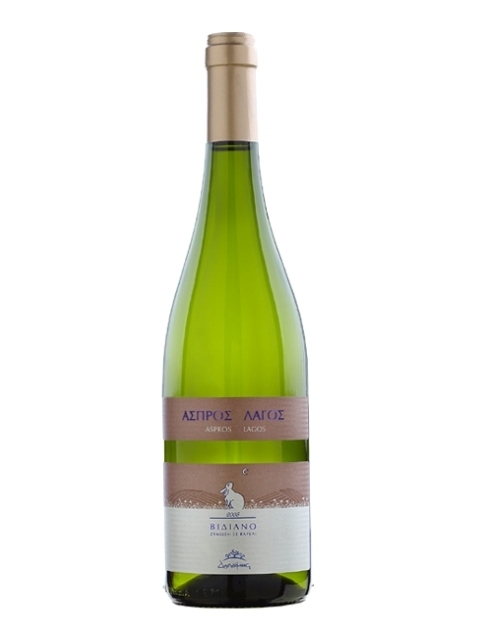 The body and richness of this wine make it perfect for accompanying dishes with rich sauces. 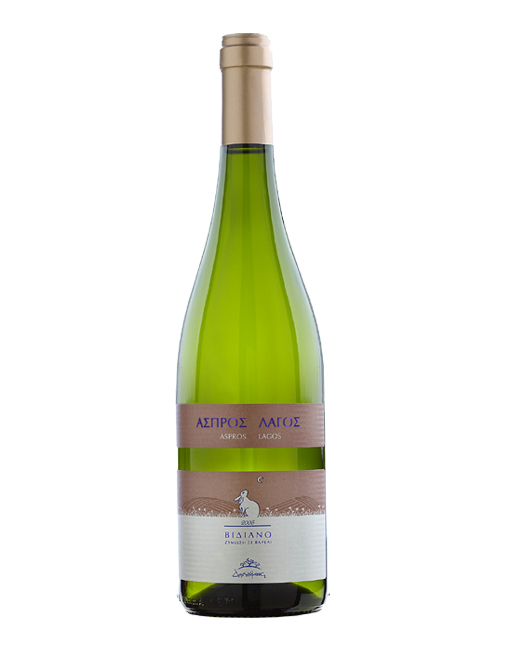 White meat, pork and poultry, but also spaghetti Carbonara and stuffed pasta are excellent choices in order to enjoy this wine to the fullest. Dry, medium acidity, medium (+) alcohol, medium (+) body. Medium (+) flavor intensity with flavor characteristics reminiscent of peach, vanilla, oak, smoke, biscuit, crème caramel, licorice, honey and mineral notes. Medium (+) finish.